You love the rustic country living. But your ambition keeps you glued to the city life. What do you do? You bring a little bit of that country charm to your modern home with some rustic home decor. If you’re one of those who loves the rustic charm, here are cool rustic home decor ideas that should help you pick a favorite. This set of three wooden wall shelves will add a warm rustic charm to your home decor. 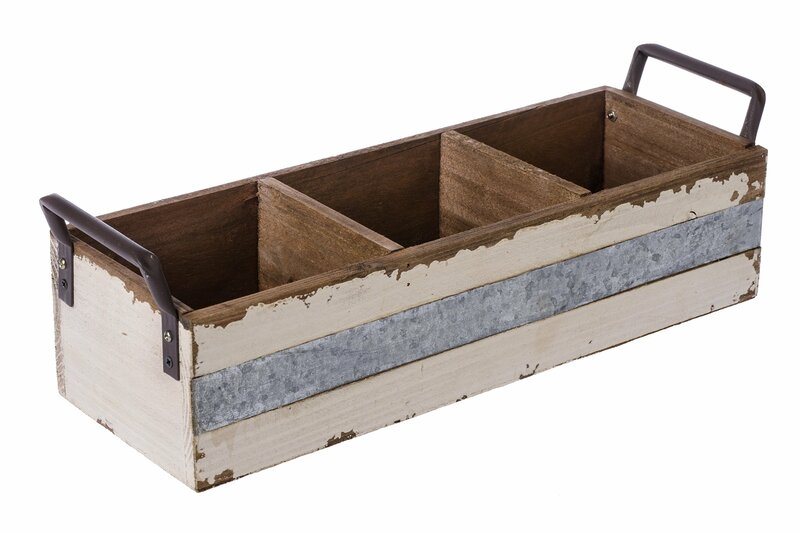 Each wooden shelf is made up of 100% recycled weathered wood which gives it an original look. These shelves can be used together or as floating shelves. Get creative and display your favorite art, treasures or picture frames. Buy This Now. 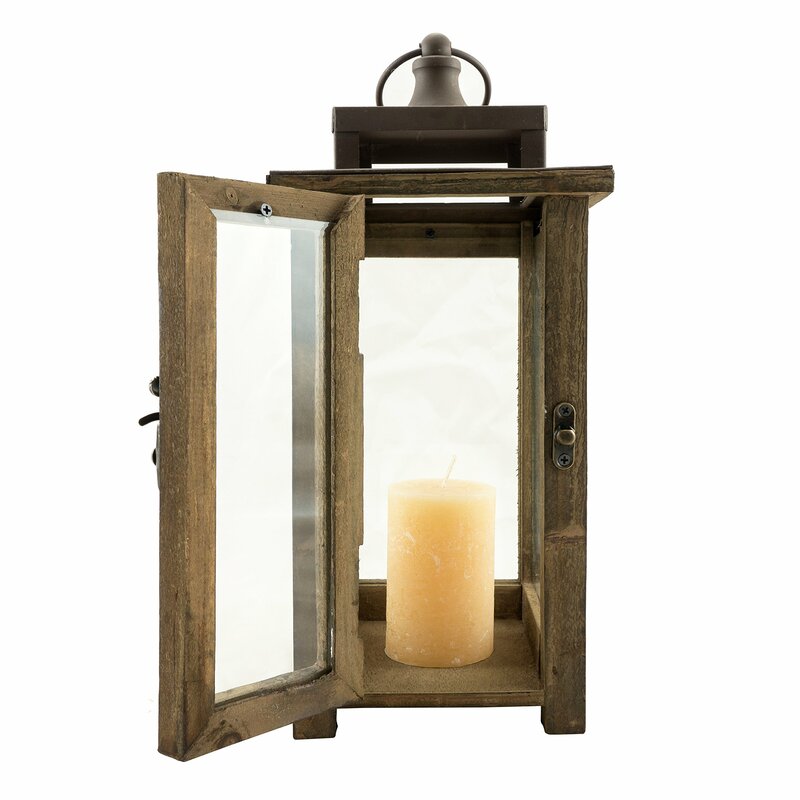 This wooden lantern is what you need to add a warm feel to the modern rustic decor of your home. The distressed wood, metal, and glass in this lantern give it a vintage look. You can hang this high-quality wooden candle lantern outside your house or on a wall sconce in your living room. A good find for your farm house decor too!Buy This Now. Give your home a little French country sweetness with this decorated metal vase. You can put fresh or artificial flowers and place it on a table top or on your kitchen shelf. You can get creative and use it to hold other household knick knacks. This petite vintage looking vase can bring charm to any room decor. Buy This Now..
Made of lightweight and aromatic pinewood, this carry is both decorative and functional. The galvanized steel and wood construction makes it sturdy and stylish. You can organize your essentials in the three compartments of this carry. One of the best rustic decor ideas to get organized. This farmhouse style decor, it goes well with concrete floors or rawly exposed bricks. Buy This Now. If you like organizing things in a stylish way, this distressed Mason Jar is what you need. You can use it as a toothbrush holder in your bathroom or as a penholder in your office. Or use it to hold your make-up or may be small kitchen utensils. The possibilities are endless! The best part is that you can choose your own distressed color from Antique White to Light Teal. Buy This Now. This Tuscan styled contemporary wooden clock has a vintage finish. The huge roman numbers and the texture of the clock give it a rustic look. It does not have a glass covering but the coated paper makes it waterproof and damp proof. If you’ve been looking for rustic country decor ideas, this is your best bet. Buy This Now. This country milk can is perfect for the rustic home decor. Big rust spots on both sides give an aged look to this jug vase. You can use it to decorate fresh or artificial flowers or as an indoor planter. It comes in two different galvanized finishes. You can choose the one that will go with your home decor. Buy This Now. This creative key shaped metal wall hook has a rust finish. This multi-purpose hook has 6 nails for you to hang things from keys to dog leashes. It can give a modern rustic decor touch to the corner where you hang it. Buy This Now. Lend a modern country decor look to your house with these functional wall hooks. These off white hooks with rustic finish come in set of three. They are sturdy and ideal for holding anything from keys, coats to towels. Buy This Now. What can be better than a rustic looking wall mount shelf to hold rustic artifacts? Perfect for wall decor in small spaces, this weathered oak finish mount has 5 shelves. Buy This Now. Crafted out of aged and weathered barn wood, this is a vintage looking cabinet. This is best rustic home decor find for your farmhouse. It can also bring that rustic touch to your home decor, especially the kitchen. This one is not all style; at 29 inches tall you can use it for storage. Buy This Now. Add this rustic country living canisters to get a vintage look for your kitchen or laundry room. These large galvanized metal canisters come in a set of three. These decorative canisters can be used to store non-food items. Buy This Now. These beautiful rustic olde canisters will add charm to your country kitchen. The vintage style metal canisters come in a set of four and are food safe. The vacuum seal lids keep the moisture out and retain the freshness of your flour, sugar, coffee, and tea. Buy This Now. Experience the meaning of happiness with this beautiful French country style bucket. The beige painted metal with embossed heart shape gives it a charming vintage look. You can arrange some freshly picked flowers in this bucket or use it to store your garden tools. You can also use it as an accent piece for your garden by placing a planter in it. A functional addition to the modern country decor. Buy This Now. These set of three canisters are not only functional but also double up as decor pieces for your kitchen. The sizes are big enough for you to store flour, sugar and other groceries. Made with tin, this silver color canister has a galvanized finish. Perfect vintage pieces which are going to fetch you a lot of compliments. Buy This Now.